What are the first things that come to mind when you think about Italy? Perhaps pizza, pasta, gelato, The Lizzie McGuire Movie, and other clichés. However, one thing that always comes to mind (that isn’t a cliché but a matter of fact) is the craftsmanship you find in this stunning European country. Whether it’s in the shoes, clothing, jewelry, or handbags, you know that when you see “Made in Italy” on the label, it’s of top-notch quality. So as fans of well-crafted pieces, here at Who What Wear, we’ve already made it our mission to share our favorite Italian brands. From sharing the four Italian jewelry brands you should have in your radar to now sharing the seven Italian purse brands that you have to share with your friends (and Instagram followers too), we’re just scratching the surface of all the cool brands Italy has to offer. Sure, some well-known brands made this list (hello, Gucci and Prada), but there are other brands that you might have not heard of that will surely take over your mind and closet. That being said, keep scrolling to discover the seven must-know Italian brands for accessories. PS, We’re pretty sure Lizzie McGuire would love them too. ATP Atelier’s leather goods are all handmade in Italy to impeccable perfection. Just take a quick glimpse via Instagram and you’ll see how many of your favorite style stars love this brand. Plus, we also highly suggest you check out the brand’s shoes. This color is so easy to match. You probably have seen this bag multiple times on your Instagram feed. Cue The Devil Wears Prada lines. It no surprise this fan-favorite brand made our list. With its timely and fashion-forward designs, you can never go wrong with a Prada bag. If you want a classic bag that still stands out, this one is for you. There’s a reason fashion lovers never take this fanny pack off. When Marni comes to mind, so does lively colors and quirky silhouettes. That’s why it’s one of our top favorite Italian brands to finish off our outfits with. The fashion-girl way to add orange to your outfits. How pretty is that handle? The weirder the print and smaller the bag, the better. 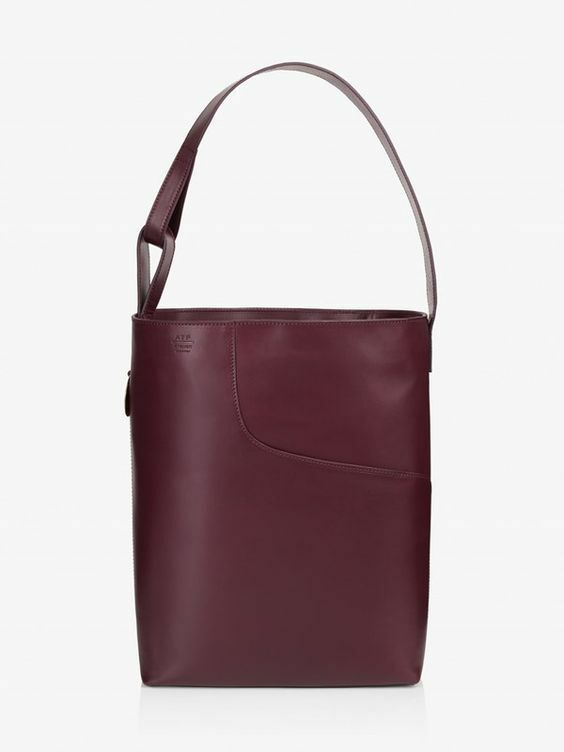 If you want a good leather bag, look no further than Nico Giani’s designs. The brand’s clean-cut silhouettes in fun and classic colors will become your favorite in no time. You can’t go wrong with a cute brown crossbody bag. A simple (and small) statement. We still have love for circle bags. From bigger bags that fit everything you need (and more) to cute belt bags that fit the bare necessities, Senreve has a bag for you and your needs. Cinch up all your winter coats and blazers with this belt bag. The ideal medium bag to carry all your personal belongings. Need we say more? Gucci has taken over the fashion world with its over-the-top designs and showstopping prints. Whether you want a classic bag or an upgraded one that falls under the logomania trend, Fendi has you covered. Black doesn’t have to mean boring. If you’re wondering what color you should buy your next Italian bag in, consider these.